UK Country superstar duo, The Shires, today announced they have become the first ever UK Country artist to win a CMA award. Winning the prestigious CMA Jeff Walker Global Artist Award, which recognizes outstanding achievements by a Country Music artist originally signed outside of the United States. The Shires were very happy to receive a surprise presentation of the award during the CMA songwriters series show featuring artists including Maren Morris and Drake White. Last week The Shires were presented with their second GOLD disc in just 12 months as they officially announced their hit album ‘My Universe’ had sold more than 100K copies in the UK. This unprecedented achievement further cements the band’s position as the UK’s most successful Country act. 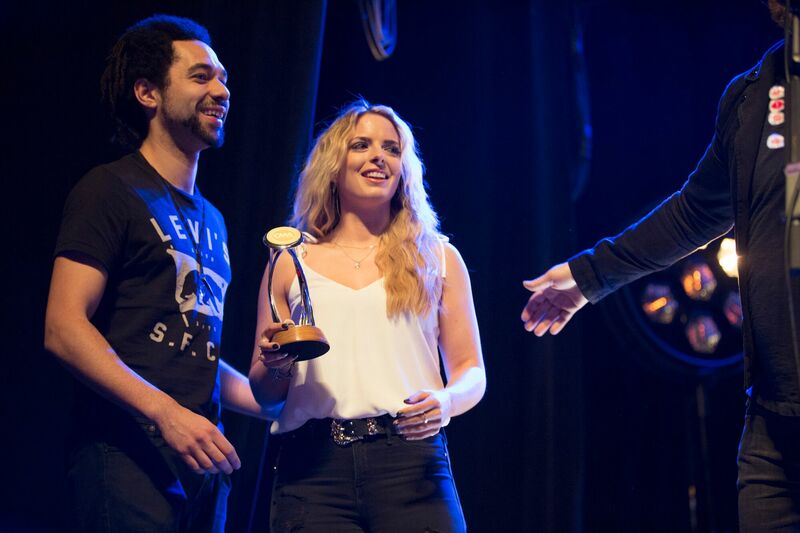 The Shires are the fastest selling UK country act ever – going Gold with two albums within a year of release as well as reaching this level of sales with ‘My Universe’ a mere 20 weeks after its release. The new album has not left the Top 60 since release in October last year, and has been back up in the Top 20 numerous times.